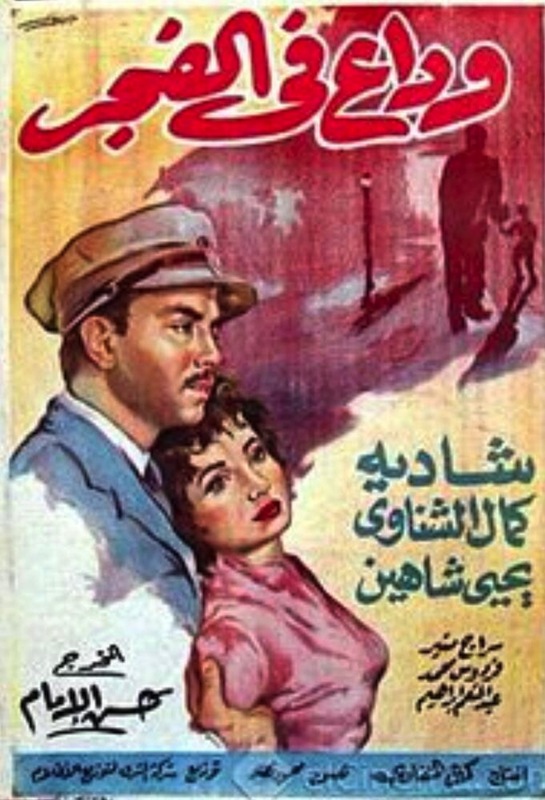 In the 1950s, Egypt’s cinema industry was the third largest in the world. 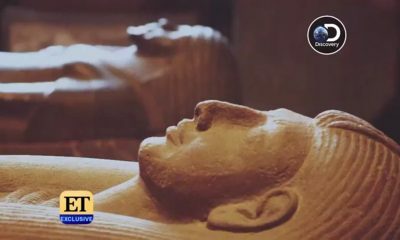 Dubbed as ‘the Golden Age’ of cinema, films that came out of prominent Egyptian writers and directors were seen worldwide, offering an Egyptian twist to the famous Hollywood and European films. In that era, film posters were a serious business. 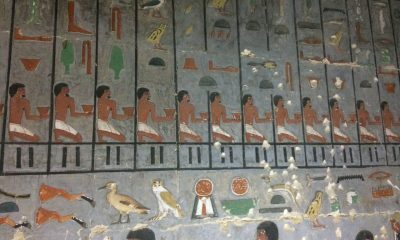 Instead of depending on graphic design and professional cameras, artists used their imagination and creative skill to paint the poster by hand. Artists like Hassan Mahzar Gassour and Stamatis Vassiliou were keen on using symbolic imagery, flashes of colour, dramatic facial expressions, and humour – brilliantly depicting the world of Egyptian cinema through art. Today, these posters are now considered as cultural artefacts. In 2013, an exhibition in the Main Gallery of the Princeton University Library in the USA, “Egyptian Film Poster Designers and the Print Shops of Hassan Mazhar Gassour & Sayed Ali Ibrahim al-Nasr” was held to honour the incredible artwork of these posters. 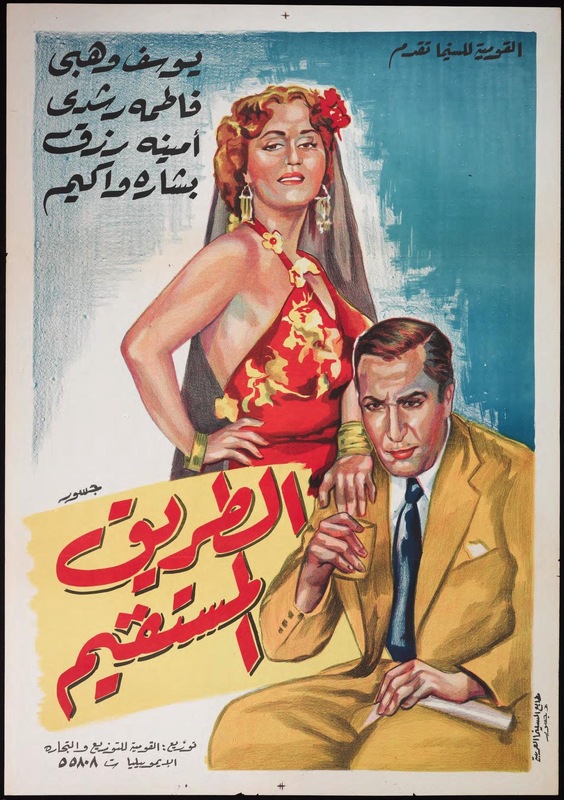 Similarly, in the basement of an old building in Beirut, CNN went to see Abboudi Abou Jaoude who set up an official archive of 20,000 vintage Arab movie posters to preserve memories of the that age. 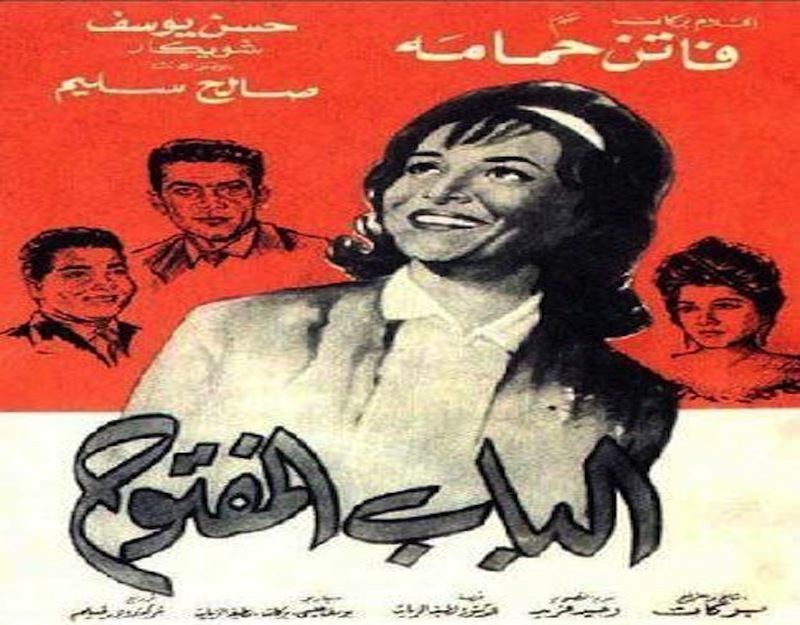 This iconic 1963 film, which stars Faten Hamama and Saleh Selim, throws questions on freedom, rebellion, and love. It revolves around Leila (Faten Hamama) who tries to assert herself despite living in a closed-minded environment. She falls in love with a revolutionary who later encourages her to unchain herself from society’s norms and to follow what she truly believes in. 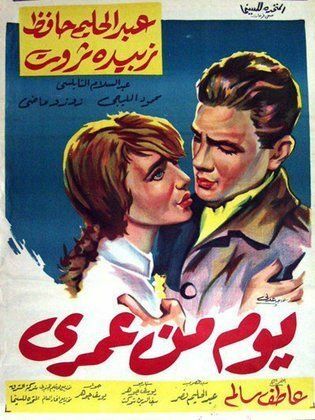 Based on the novel ‘The Thief and the Dogs’ by Naguib Mahfouz, this 1962 film narrates the story of Saeed Mahran (Shukry Sarhan), a skilled young thief, who exits prison after four years to enter a new world. Egypt has undergone a revolution and his wife (Shadia) betrays him to marry his henchman, who are both keeping his six-year old from him. Rauf Ilwan, his revolutionary friend, who once told him that stealing from the rich in an unjust society is just, is now himself a rich man. The poster portrays all the main three emotions in the film: heartbreak, anger, and loss. 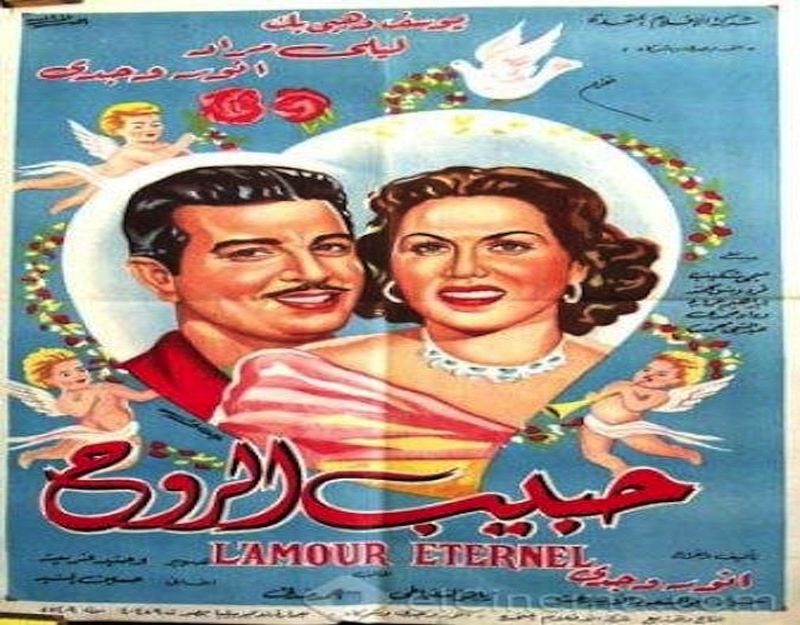 This heart-warming poster stars the legendary Laila Mourad who joins Anwar Wagdy and Youssef Wahby in the 1951 romance film. It that tells the story of Laila, a wife who longs for a career in singing yet is prevented in doing so by her husband. 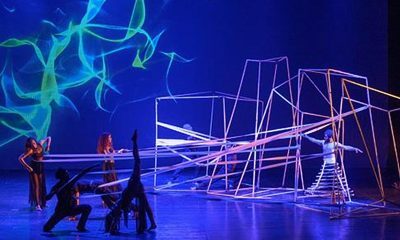 Later, she meets artist Youssef Fahmi (Youssef Wahby) who recognises her voice and helps her become one of the most important singers in the country. Despite that, she still feels a sense of emptiness and loneliness throughout her journey. 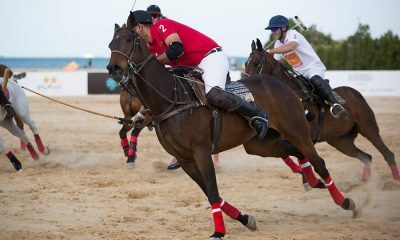 At the end of the film, there is a heated debate between her husband and Youssef Fahmi on whether Laila should stay at home or proceed with her career, in which she chose the former to reside with her eternal lover – her husband – and leave behind her glory and fame. The two charms of Egyptian cinema, Soad Hosni and Rushdy Abaza, pair up in this amusing 1963 film ‘Al Sahira Al Saghera’. Ismat Al Darmly (Rushdy Abaza) receives a letter from his coworker’s daughter Haniyeh (Soad Hosni) that she is eager to see her father since his separation from her mother and that she will return to Egypt to visit him. Though her real father is unjustly imprisoned, Ismat Al Darmly decides to play the role of her father until events escalate and he ends up falling in love with her. Giving out a playful summer vibe, this poster for the 1966 film focuses on the character of Salwa (Shokeir) who got into a car accident with her husband before becoming traumatised. 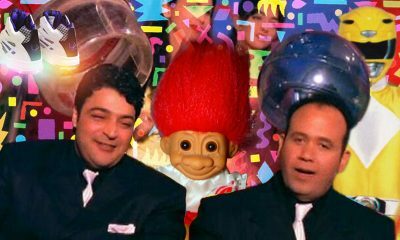 Unaware of her husband’s death, she meets Faird (Foad el Mohandes) who resembles him, and she becomes convinced that he is still alive. 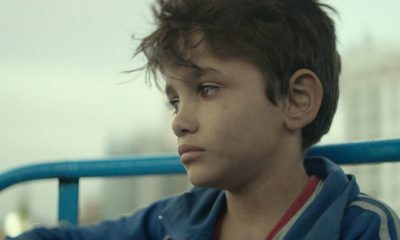 Farid tries to persuade her that he is not, but her father tells him that he should get closer to her to lessen her trauma. When she is cured, they eventually get married. A perfect portrayal of that dazed and crazy summer love. Inspired by the famous Hollywood film ‘Roman Holiday’, this Egyptian gem stars the two hopeless romantics – Abd el Haleem Hafez and Zubaida Tharwat. Salah (Abdel Haleem) and Younes (Abdel Salam el Nabolsy) are journalists covering the arrival of Nadia, who is the daughter of the millionaire Abu Aujaila to Egypt. 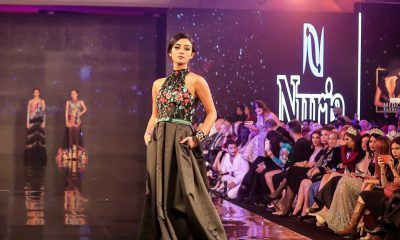 After finding out that she will be forced to marry her stepmother’s friend, Nadia escapes and arrives at the train where Salah and Younes are at. Unknown of their backgrounds, Salah and Nadia begin to fall in love and spend a delightful day in Cairo’s amusements parks and his home. Later in the film, Nadia’s father approves of her decision to the marry the person she loves. 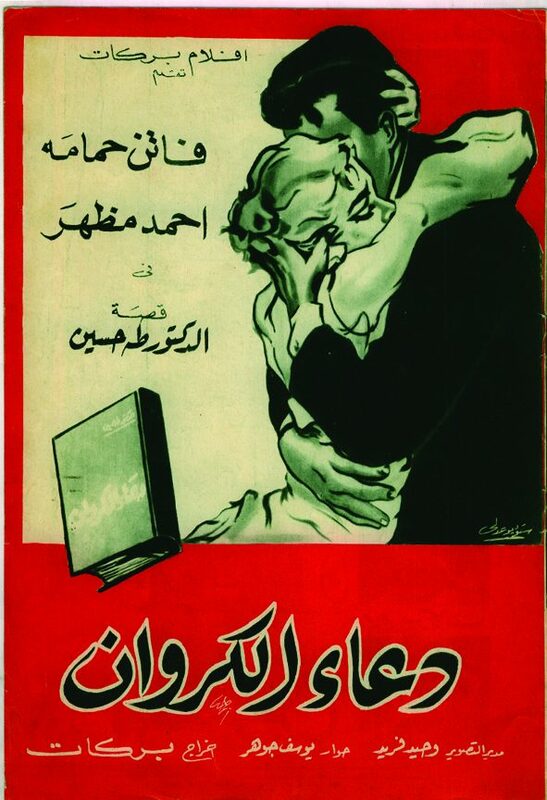 This symbolic 1943 poster presents the tragic character of Youssef (Youssef Wahby) who was once a good man and was dedicated to his family, until he is seduced by Thoraya (Fatma Rushdi) who turns around his life and makes him neglect family and work. 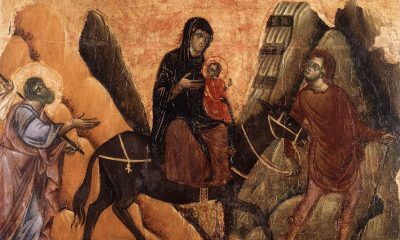 After realising that his life has gone into a terrible downturn, Youssef kills Thoraya and migrates to Sinai to live there for a few years. When he returns, he is startled to find that his children are already grown and got married, and before getting the chance to introduce himself to them, he gets killed by the police. Written by the prominent writer Taha Hussein, this touching film poster revolves around the tale of Amna (Faten Hamama), in Upper Egypt, who witnesses the dreadful death of her sister by her uncle for dishonouring the family. Filled with deep grief, Amna decides to seek revenge from the engineer (Ahmed Mahzar) who seduced her sister. She works as a maid at his house and tries to poison him several times, yet they all fail. To her surprise, Amna finds herself falling in love with him, and when her uncle tries to kill her for destroying the family’s reputation, the engineer takes the bullet to his back and saves her life. One of Soad Hosny’s most beloved movies, ‘Watch Out for Zouzou’ focuses on the tensions between tradition and liberalism in the Arab world. 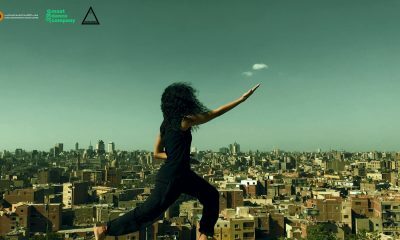 It presents a new Egyptian woman -ZouZou- to the TV screens, who works to earn a living as a dancer in her mother’s dance troupe and which she hides from her friends at school. She falls in love with her university professor (Hussein Fahmy) who breaks his engagement in order to be with her, before he gets shocked and ashamed after finding out her secret Later in the movie, however, things get resolved between them as Zouzou decides to focus on her studies and embrace a different future. The film addresses reconciliation between different classes and the idea that love is capable of overcoming all differences. This beautiful artwork is for the 1956 romance ‘Farewell at Dawn’, which stars Shadia and Kamal Al Shennawi. Once again, the film combines love and politics, as it tells the story of Ahmed (Kamal Al Shennawi) who is an air-force fighter that lives with his rich father and who is forcing him to marry his friend’s daughter. Ahmed decides instead to marry Zainab (Shadia), the poor distant relative, disregarding his father’s disapproval. The events reach a heartbreaking twist as Ahmed decides to leave to serve in the Palestine war, leaving his wife behind in agony waiting for his return.